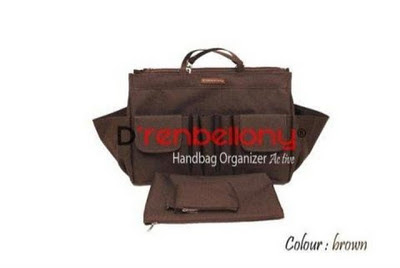 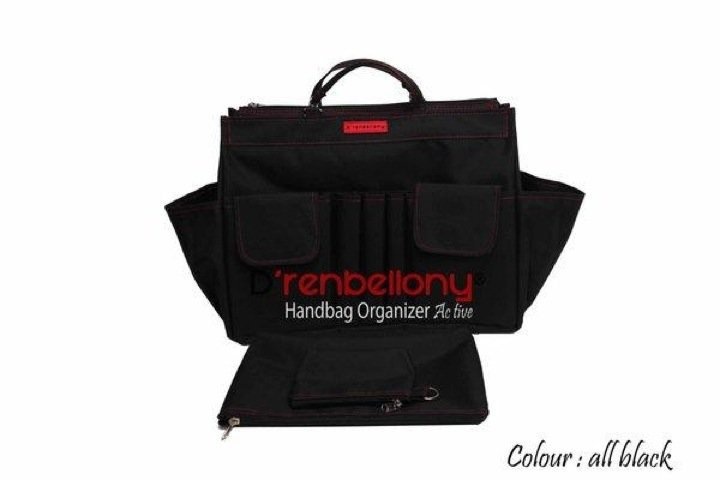 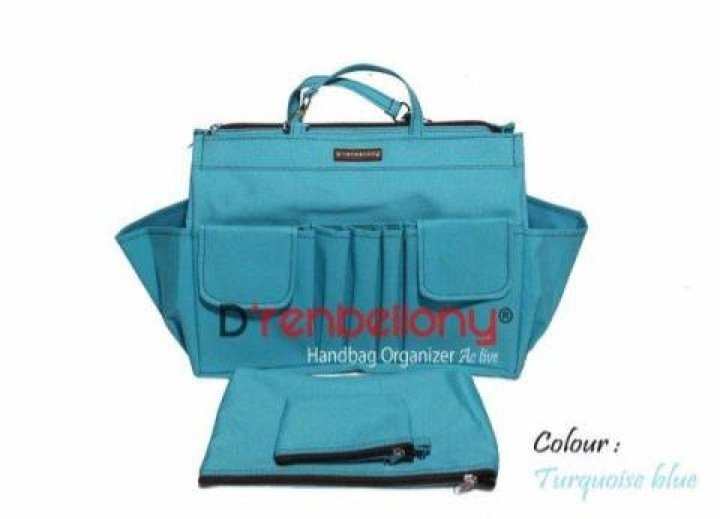 Ladies, D'Renbellony once again present to you its latest product, designed specially for all active young women, Handbag Organizer (HBO) ACTIVE D'RENBELLONY. 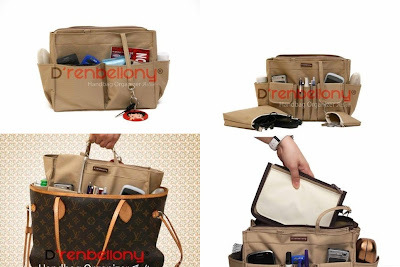 There are a lot of goods to be brought by modern woman who is active and dynamic, ranging from netbooks, mobile phone (which could be more than one), charger, calculator, e-banking key or token, wallet cards, Flash disks, books savings / check / GIRO, cosmetics, tissue, medicines, candies, and etc. 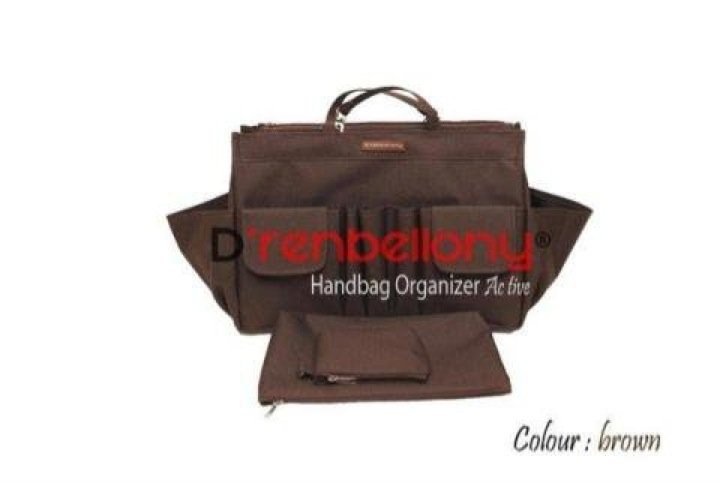 D'renbellony Active HBO is able to accommodate and organize everything, with a larger size so it can accommodate netbook 10" or IPAD a trendy e-book now days. 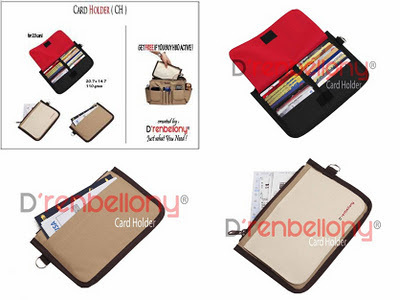 * Given a zipper pouch inside to keep the bank book / check / giro, and other important stuffs. * Zipper. 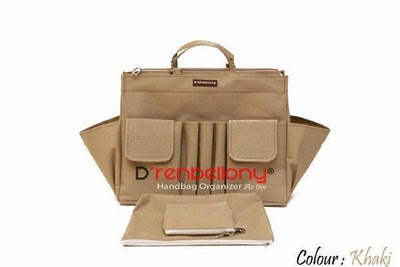 Can be use if you fear things will drop out. 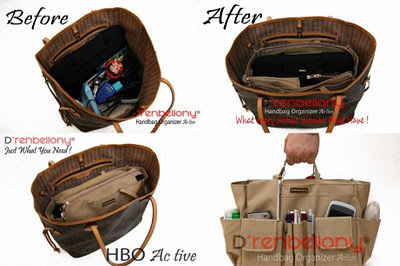 * The string that can be used to carry Active HBO. But if the active HBO inside the purse, strings can be released and could serve as a key and coin purse hook. 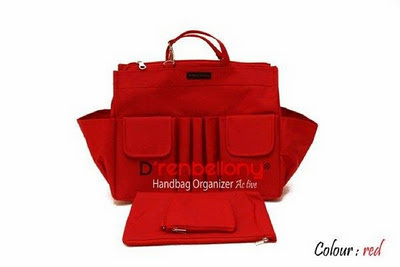 ** Are limited to stock availability and can not choose the color.